in this section you find one German informal environmental learning project. Near Goettingen there exists an adventure trail through the forest to experience nature built by the forestry office in the late nineties. The tour consists of 13 stages where people get different information and tasks. The visitors acquire knowledge about the flora and fauna on their own through thinking, solving a riddle or discovering something. 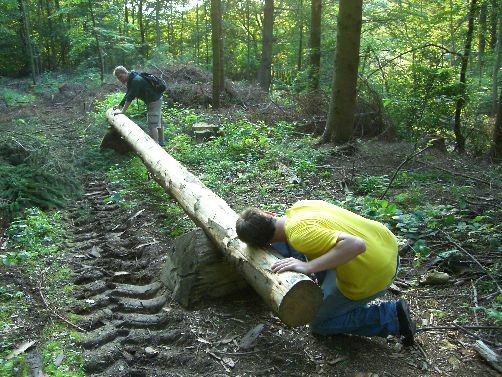 The aim is to experience nature with a high amount of mental and physical activity and with all senses.